More than 120 students from around the world will share the richness of their diverse heritage April 7-8 in two family-friendly performances of Lawrence University’s 42nd annual International Cabaret. 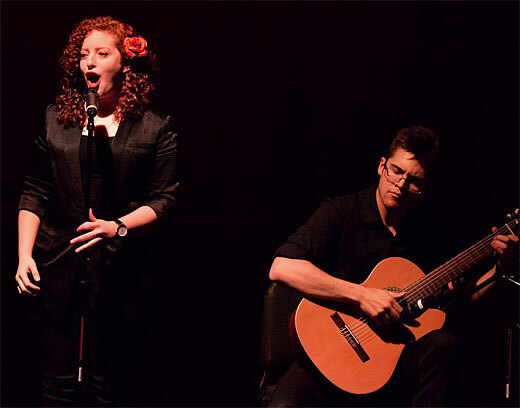 Songs from the students’ homeland are always part of the International Cabaret performance. Representing more than 30 countries, Lawrence students showcase their native cultures through dance, music and fashion in performances Saturday, April 7 at 6:30 p.m. and Sunday, April 9 at 3 p.m. in Stansbury Theatre of the Music-Drama Center. A free reception follows Sunday’s performance in the Warch Campus Center. Tickets, at $10 for adults, $5 for students/children (age four and under are free), are available through the Lawrence Box Office, 920-832-6749. In addition to its normal hours, the box office will be open one hour prior to Sunday’s performance. Junior Binita Rajbhandari, president of the student organization Lawrence International, which organizes the annual Cabaret, says it is the students’ differences that actually unite them. “The world sires a myriad of cultures,” said Rajbhandari. “We are from different backgrounds and are all different, yet we are all the same in this regard. Lawrence International believes that, while we are diverse, we should also be united because of our differences. Cabaret is possible because of our differences in backgrounds, strengths and roles. 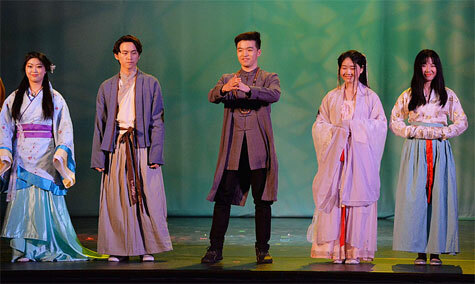 A fashion show showcasing traditional garb from the students’ home country is a popular feature of the annual International Cabaret. This year’s Cabaret features 15 acts and two fashion shows of colorful, traditional dress. Among the performances will be a traditional Greek folklore dance, an acoustic rendition of a modern Nepalese rock song, a Mariachi band, a Croatian song, a Jordanian version of an Eastern Arab dance, both a traditional and a modern Japanese dance, a popular love song from Ecuadorian folklore and the always popular, high-energy series of South Korean K-pop dances.